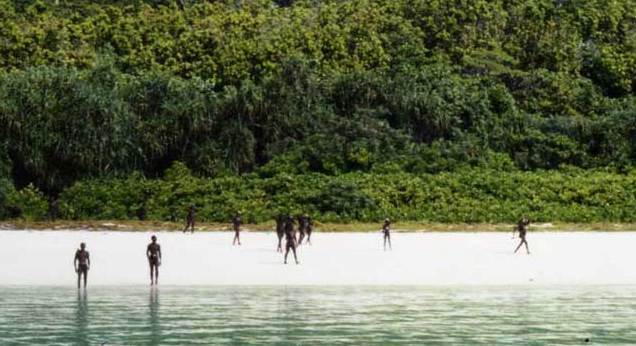 The Sentinelese people, living on North Sentinel Island, and often called by the names Sentineli, or the North Sentinel Islanders, are the original inhabitants of the Andaman Islands. Owing to their resisting any contact with the outside world, and remaining detached for nearly 60,000 years, it is believed that they are the most isolated people in the world. The name “Sentinelese” actually refers to the island archipelago that was called such and colonized by the British in the 1850’s. 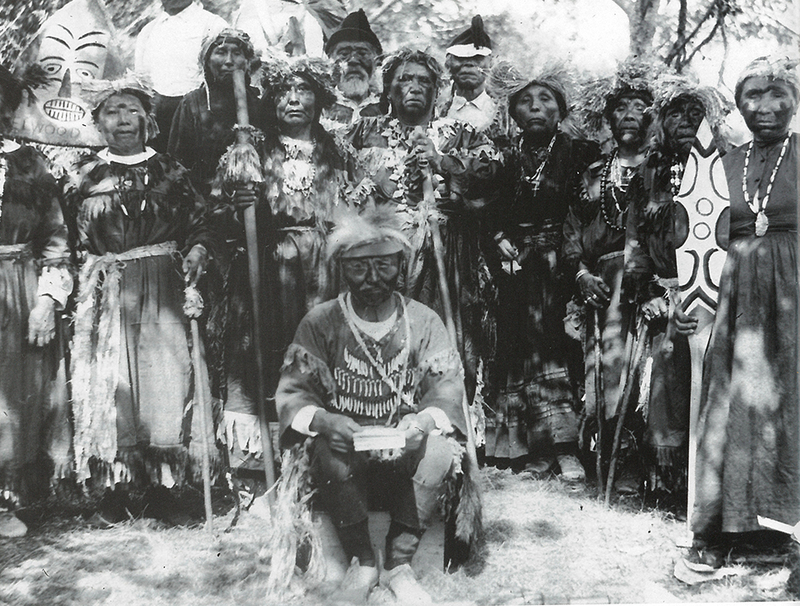 However, it is not known what the natives call themselves. 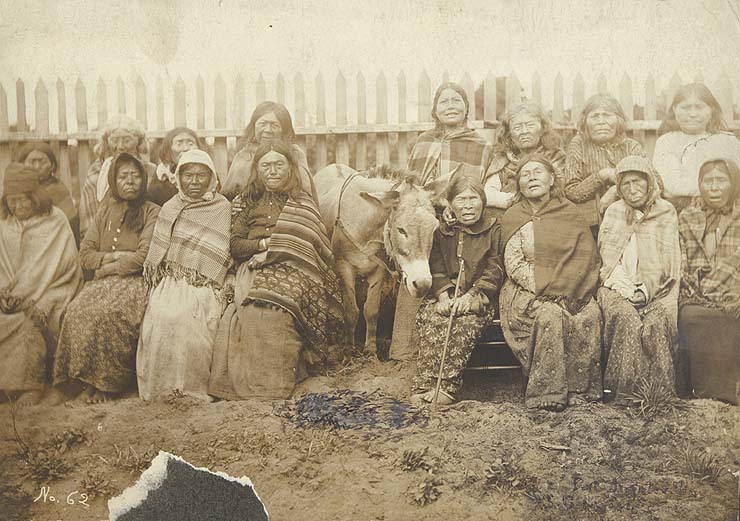 The repulsive attitude of the islanders towards any attempt to know more about them has resulted in there being no concrete information regarding their language. It is presumed that the natives speak a single language that has more similarities with the Ongan language family than the Great Andamanese languages. Due to their having a dark skin tone and dense peppercorn hair, the tribe is usually classified as Negritos, a term typically applied to varied groups of people in South East Asia, who demonstrate the features mentioned above. However, on an average, they appear to be taller than other people of the Andaman Islands. Their physical affinity with the African pygmies also hints at the fact that maybe, they trail from those people, who, migrating out of Africa nearly 40,000 years ago, got settled in the North Sentinelese Island. In fact, a study conducted on some DNA samples of the Onge and Jarawa tribes, (other tribes of the Andaman) further supports this fact. Apart from these assumptions, questions regarding how this indigenous tribe of the Andaman Islands has survived for so many years, or how they overcame the perils of 2004 Tsunami, have no answers. Observation of these people from a distance, and their subsequent comparison with other Andamanese tribes, have led to the assumption that they are hunter-gatherers, unaware of agriculture or the skills of producing fire. It is relevant to note that the 13th-century explorer, Marco Polo, in his travel journals, described them as a “cruel generation who seem to eat everybody they catch.” However, there have been no reports of their cannibalism. The tribe’s rugged appearance indicates that they mainly derive their food from the two stable sources, the sea, and the forest. Thus, their diet comprises of coconuts, usually deposited by explorers and collected by the tribe from the shallow waters around the shores, small birds, and other fruits from the forest as well as fish, turtles from the sea. The Sentinelese tribe builds two types of houses; large huts with an elevated floor and partitioned quarters, used for communal living, and small huts with open sides. Bow and arrows, harpoons and spears, largely made from stones and animal bones are used either for hunting, fishing or for defending themselves. They employ metal fragments, recovered from shipwrecks to sharpen and tip their arrows and construct narrow canoes to be used only in shallow waters. According to Indian anthropologist, T. N. Pandit, a sort of group mating was witnessed by a rescue party on 29th March 1970. The explorers recounted that after one Sentinelese woman had paired up with a warrior, the same procedure had been followed by other women. Later, when the zeal had abated, most of the group returned to the jungle, leaving only a few male warriors on watch. 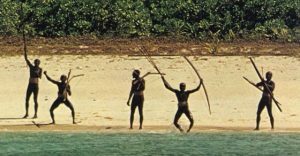 A video of the Sentinelese, taken from helicopters, suggests that they use fiber strings and leaves to decorate their bodies and do not wear any clothes. Headbands, prepared from vines, and belts, made from barks, are used by men as fashionable items and also as protective tools when they go on hunting expeditions. It is assumed that they use natural resources like colored rocks, and wild fruits to dye their clothes red. The only information that is available regarding the tribe’s religion concerns their unique burial ritual. An infant, after his death, is buried and a “nautilus shell” along with a few small seashells is placed on top of the grave. Besides this, a stick resembling a “five-fingered hand” is trapped vertically in the ground beside the “embers.” The tribe’s aggressive attitude in keeping out anyone trying to come in contact also points at the fact that maybe they consider the latter as demons or bad people. 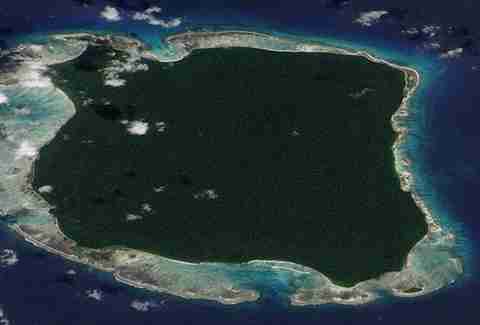 Several irregular trips to North Sentinel Island that were undertaken by the Indian Government in 1970 and again in 1991 to befriend the Sentinelese were not fruitful. 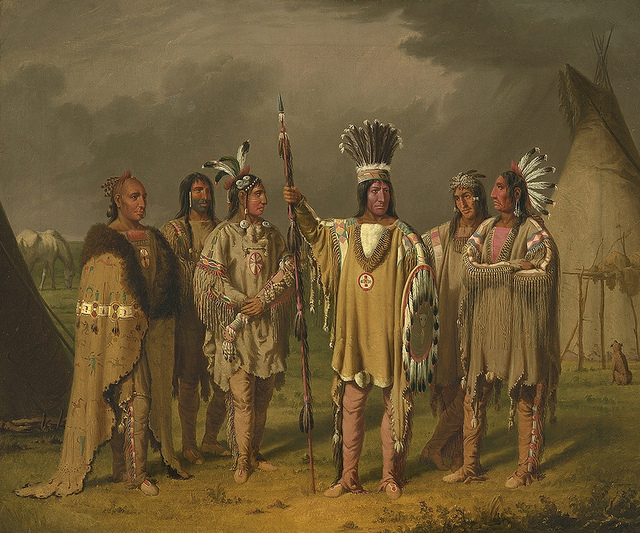 Even though at times, the natives made friendly gestures and accepted the gifts that were dropped, for the most part, they were unresponsive. Interestingly, in 1974, a group of anthropologists of the National Geographic Society, with the idea to film a documentary called, “Man in Search of Man,” attempted to initiate a friendly connection with the natives by depositing some coconuts, a doll, aluminum cookware, red and green buckets, and a live pig. But the Sentinelese, by shooting arrows, wounded the director, accepted the red buckets, rejected the green ones and buried the pig and the doll. 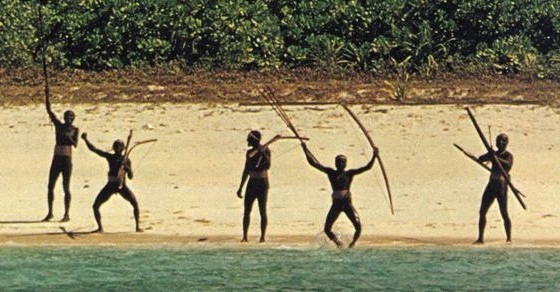 After the Tsunami of 2004, when a helicopter was sent by the Indian Government to see if the Sentinelese were safe or not, the archers violently responded by shooting arrows and throwing stones. 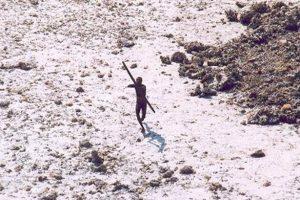 On January 26, 2006, when a coastguard helicopter attempted to recover the bodies of two men, who had been killed while illegally fishing in the area, the Sentinelese shot arrows at them, thereby rendering their mission unsuccessful. On 17th November 2018, American missionary John Allen Chau was killed by the tribal people who shot him with arrows upon his arrival on the North Sentinel Island. The Indian Government’s attempts to retrieve the body remained unsuccessful due to the attacking tribal people who refused to let anybody venture near enough. The Indian Government, having failed to establish a peaceful contact with the Sentinelese and to safeguard them, has laid out a rule, according to which any attempt to approach them closer than three miles, is illegal. There have been various speculations about sending a drone to study them, but no attempt has been made so far. 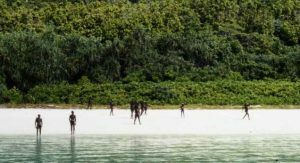 It is now a widely acknowledged fact that the Sentinelese, probably the most primitive tribes in the world, numbering anywhere from 50 to 400, have no interest in modern survival and are happy in the seclusion they solemnly maintain.